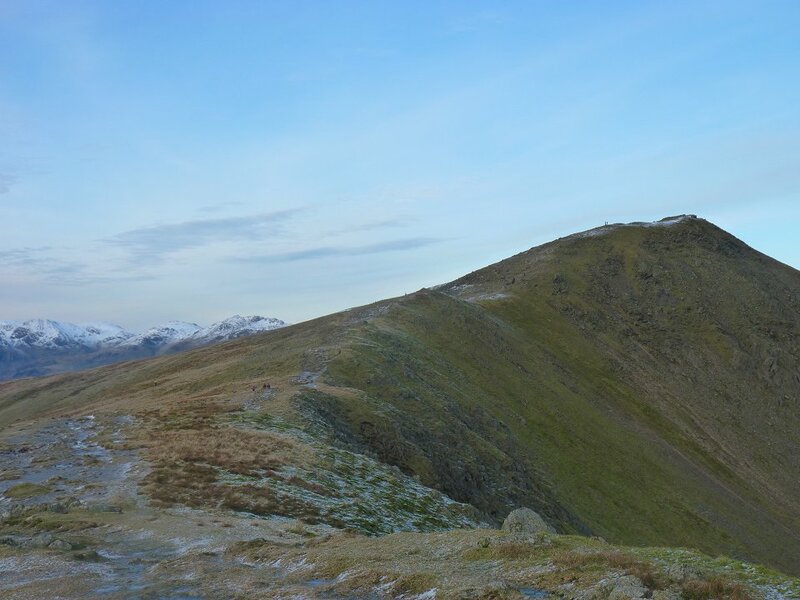 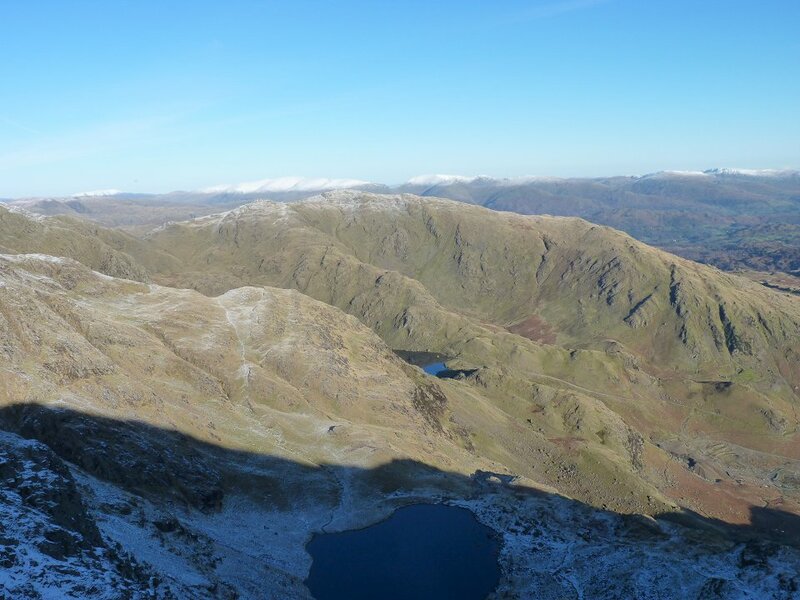 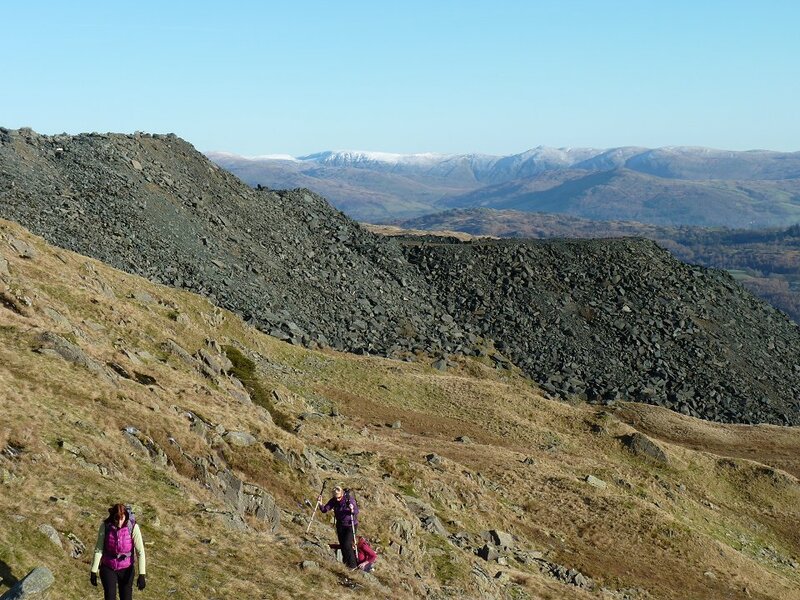 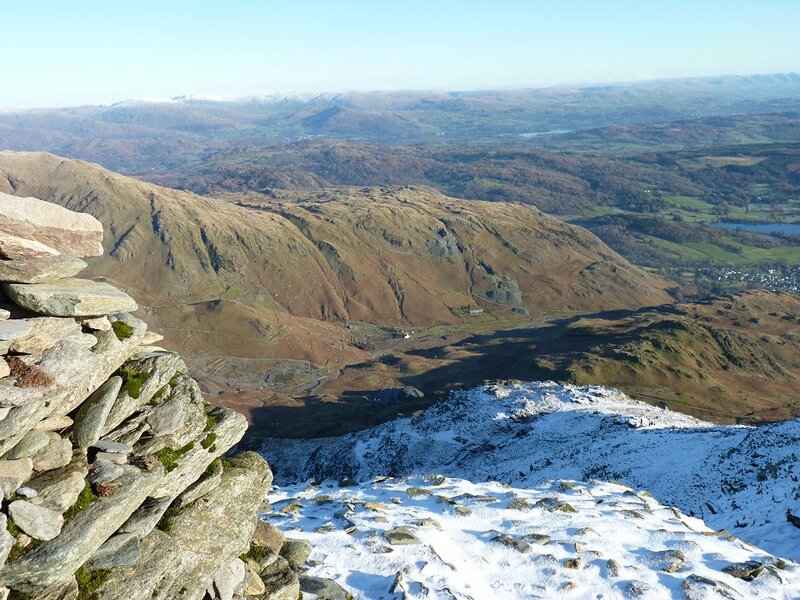 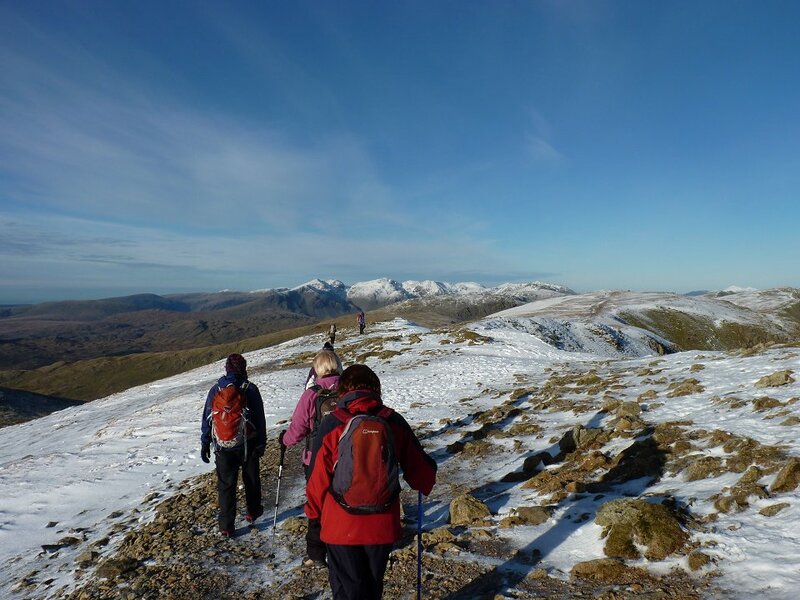 We enjoyed superb weather on Sunday for this classic little round of some of the Coniston fells. 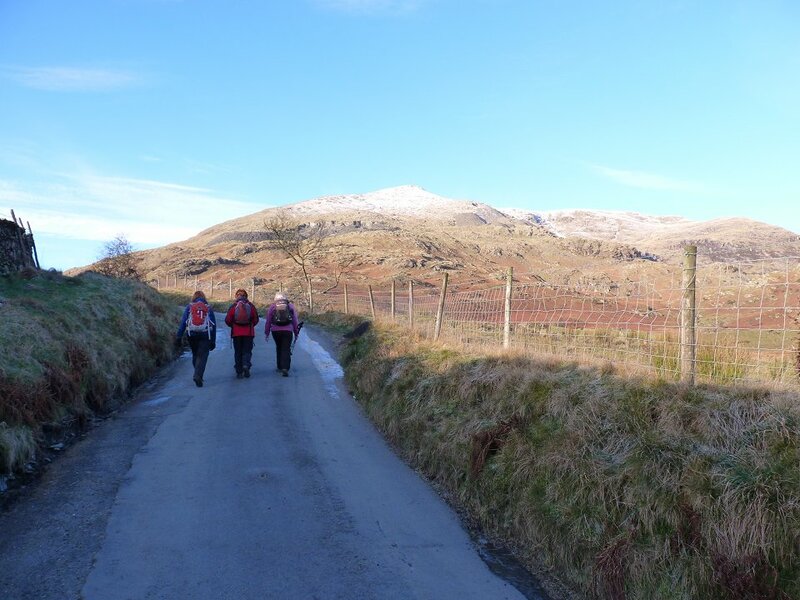 We parked down in Coniston as we didn't want to risk the icy road up to the car park at the end of Walna Scar Rd. 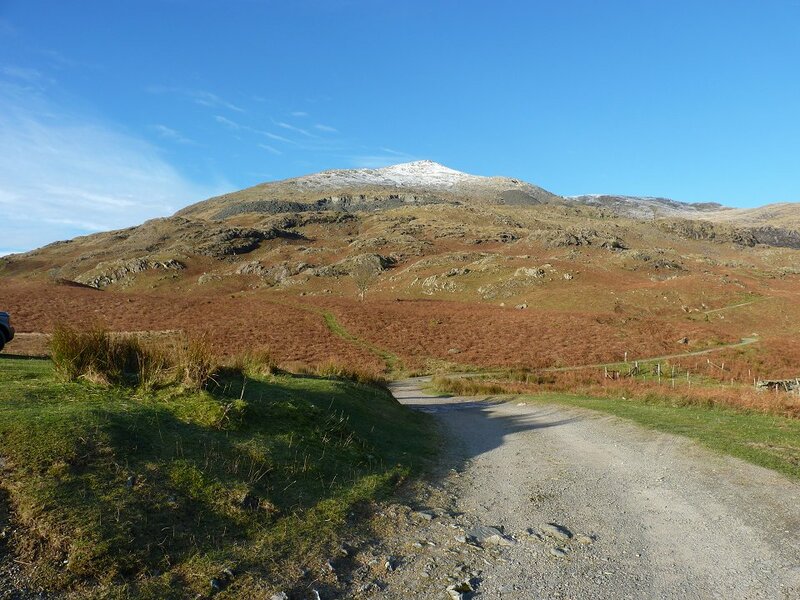 Coniston old Man from the fell gate. 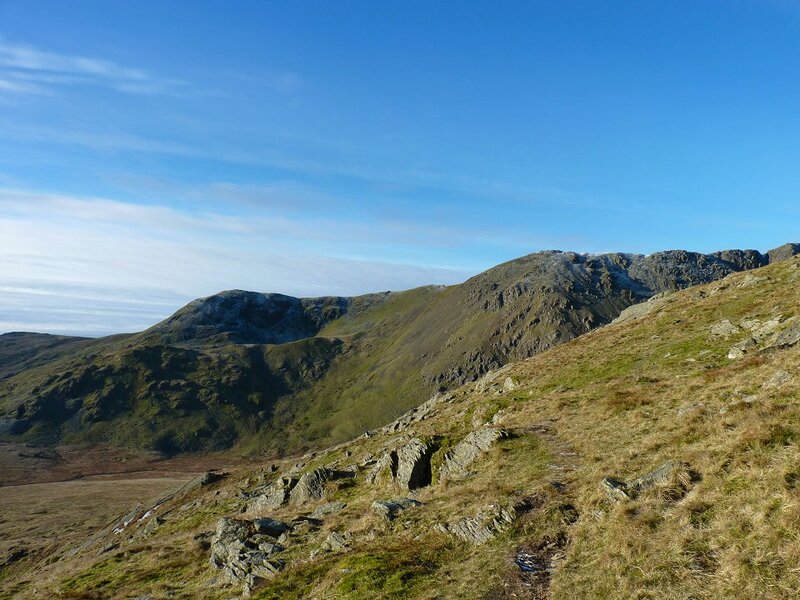 Brown Pike and Buck Pike come into view as we round the fell. 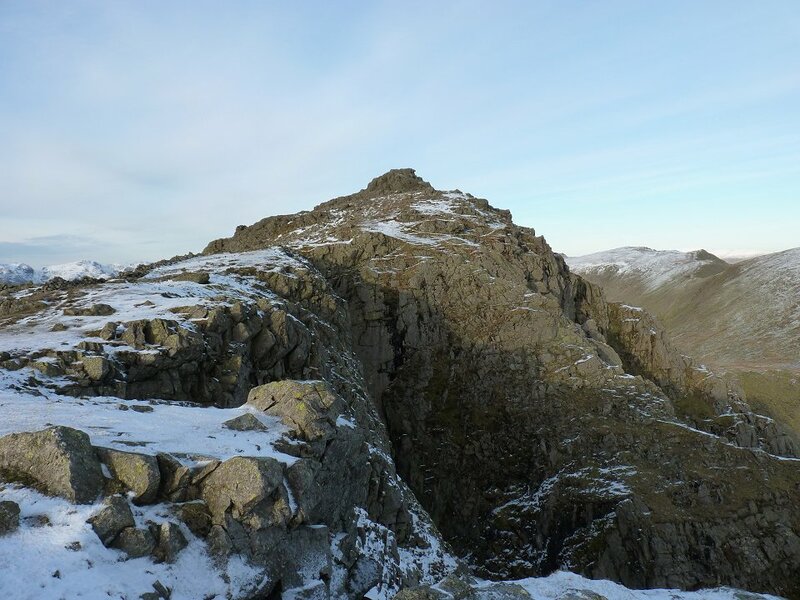 And then Dow Crag appears. 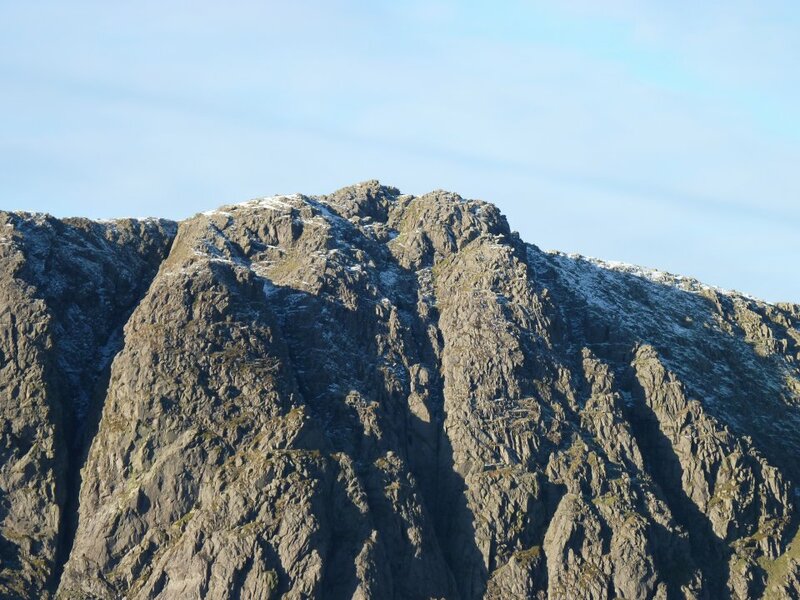 Zooming in on the rocky top of Dow Crag. 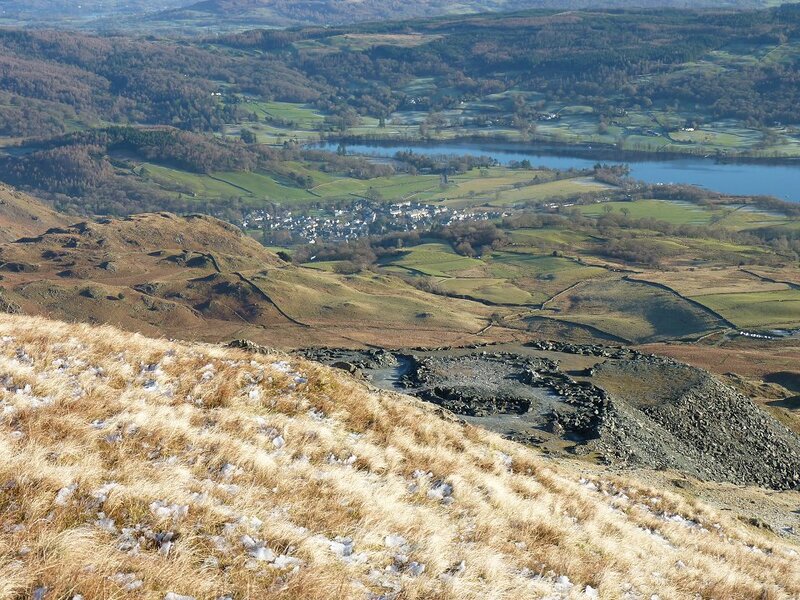 Looking back over the quarry to Coniston the town and a bit of Coniston the lake. 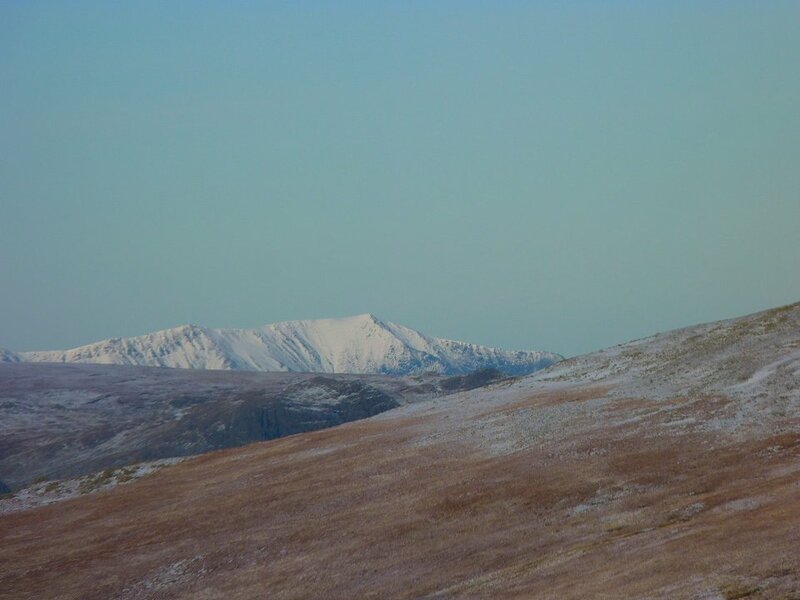 At the top now looking over to a snowy Helvellyn. 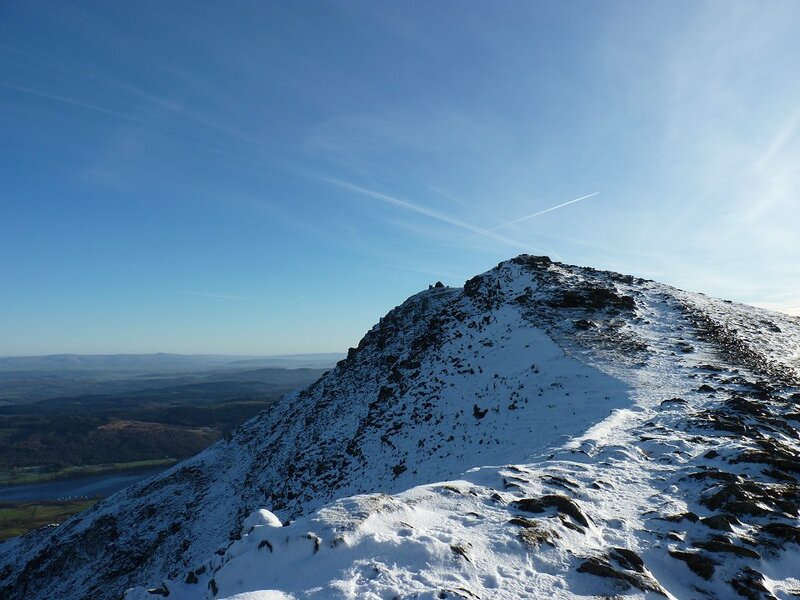 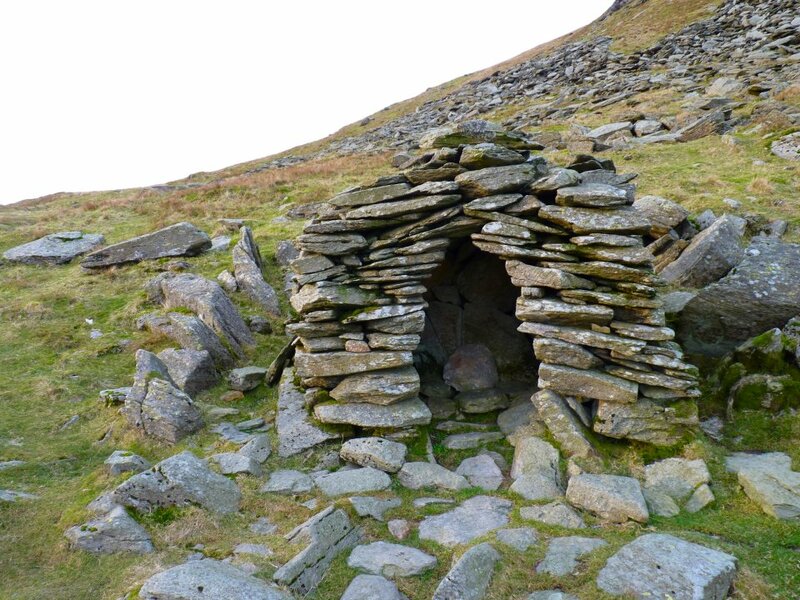 We were in shirt sleeves on the climb up but the summit was freezing. 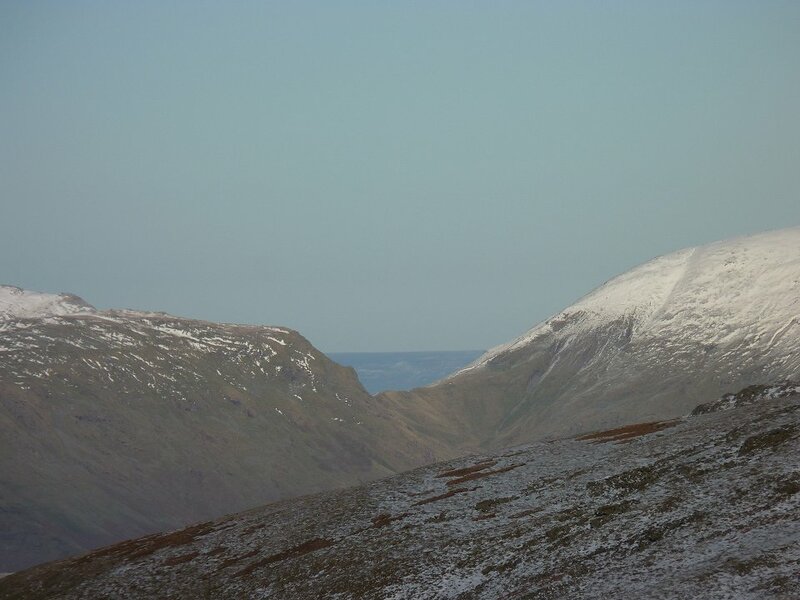 So we had a quick lunch stop and set of for Goats Hawse. 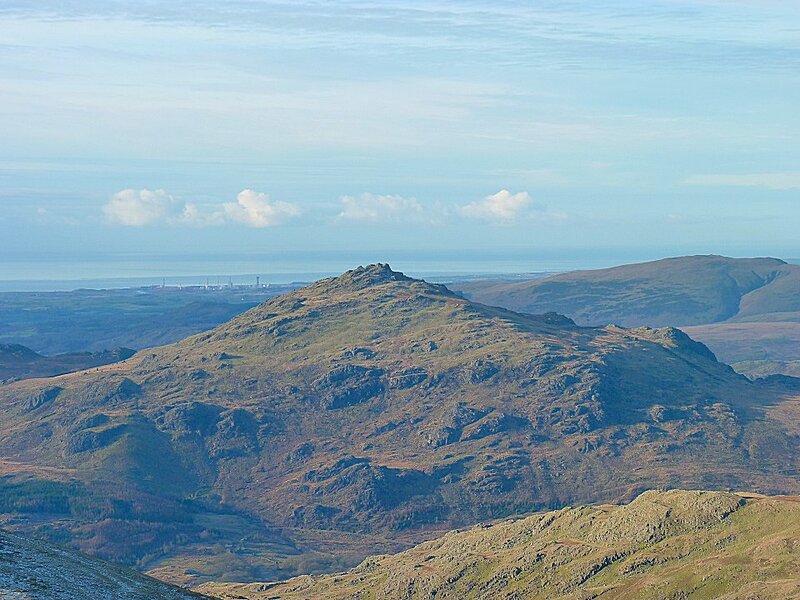 Looking back to the summit of the Old Man. 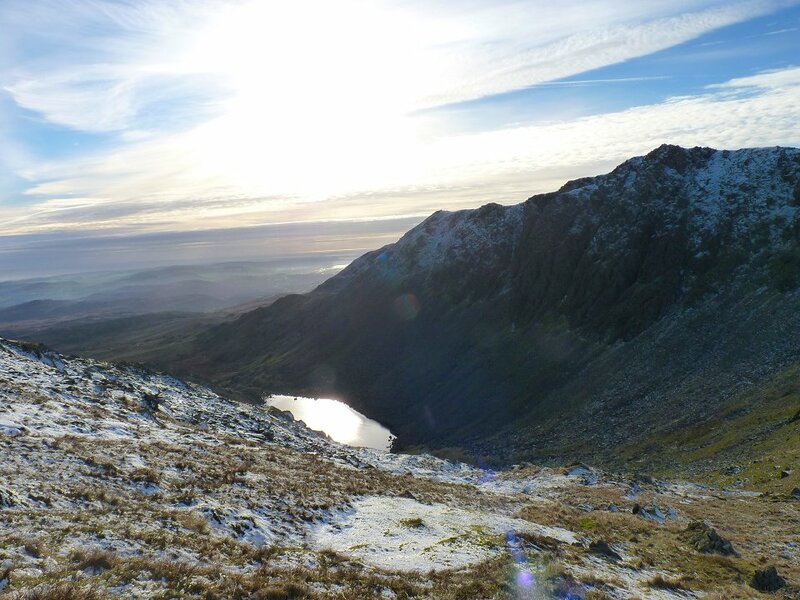 Goats Water seen from the icy path down. 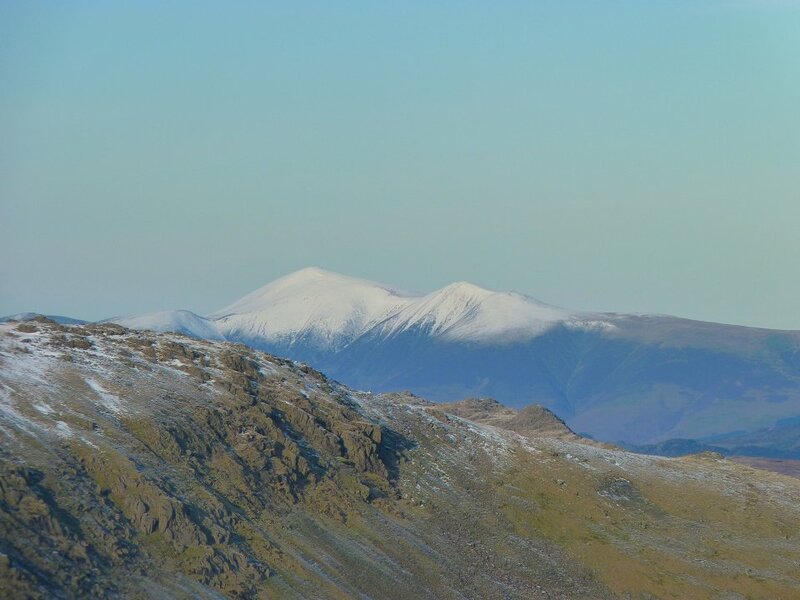 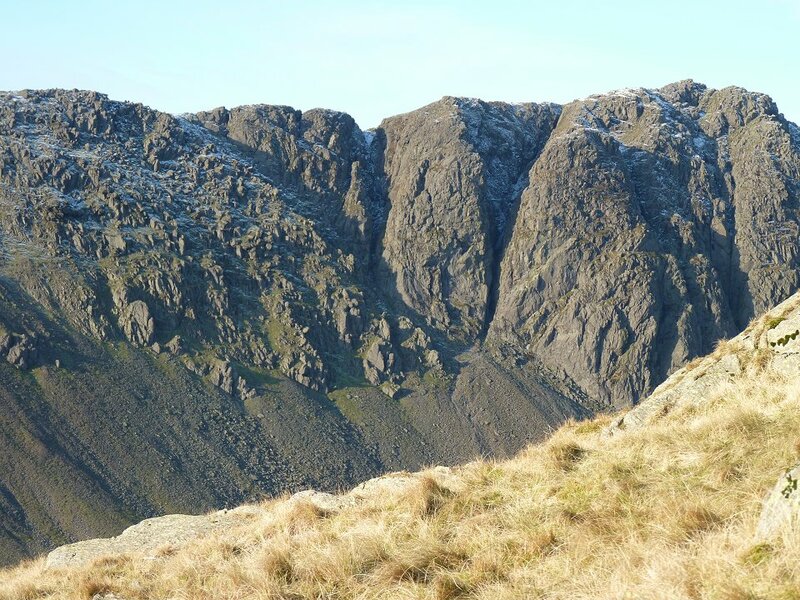 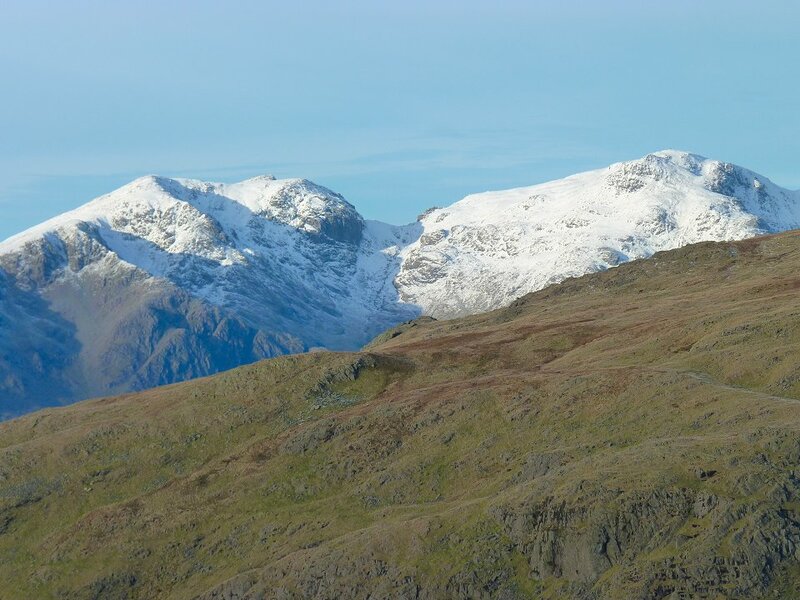 Scafell on the left and Scafell Pike on the right. 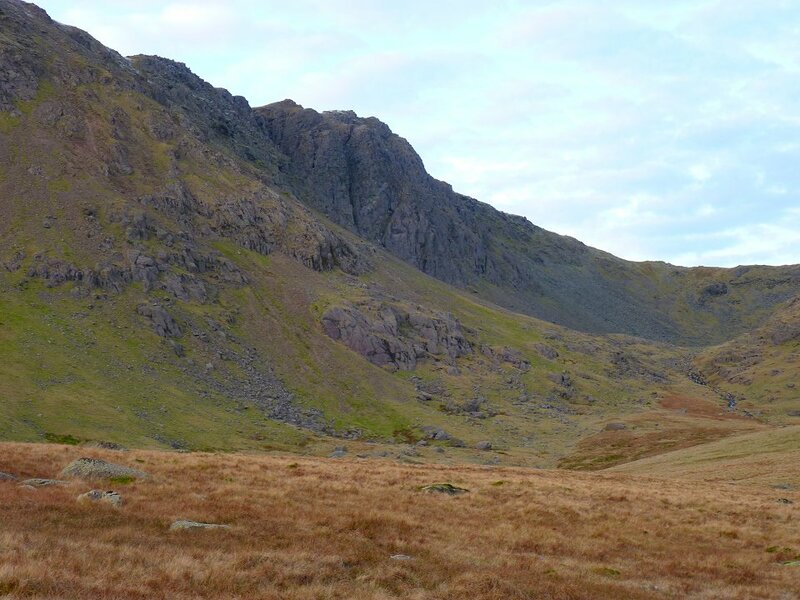 A look back at the Old Man. 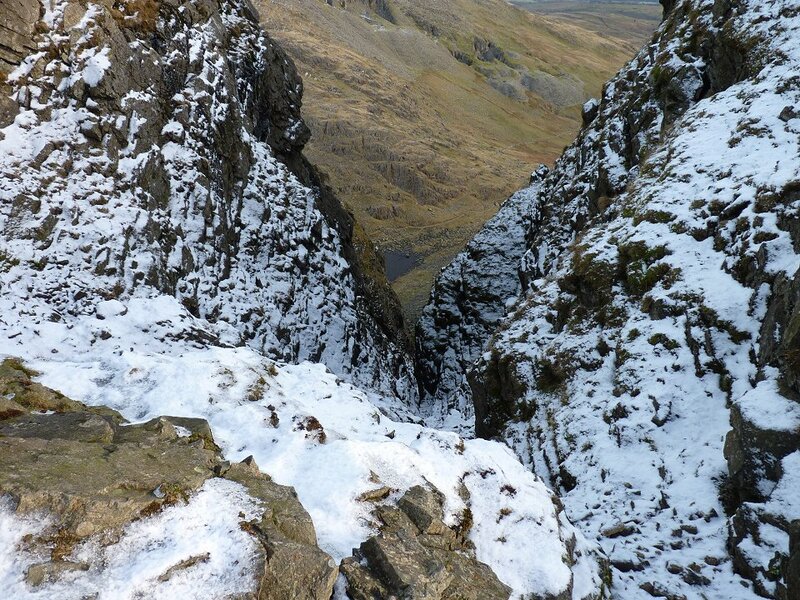 Looking down one of the snow filled gullys. 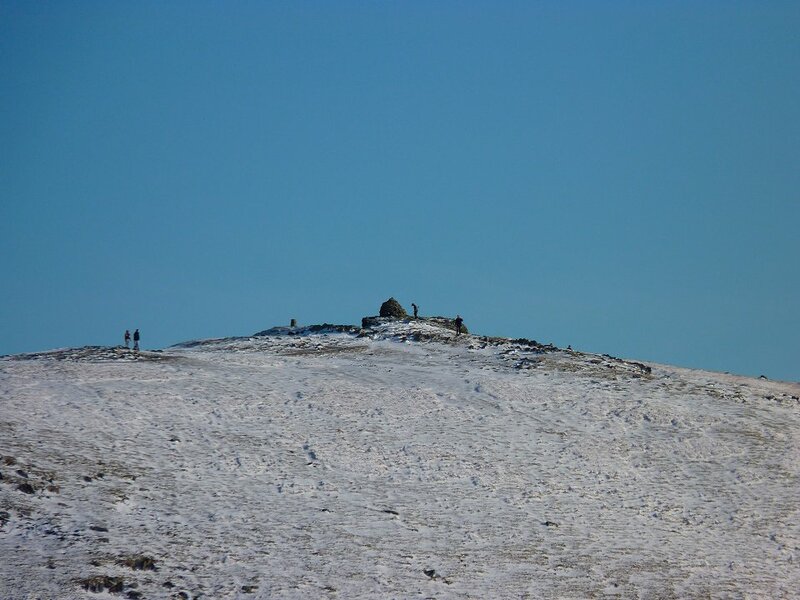 My local hill, Winter Hill with the TV mast just visible. 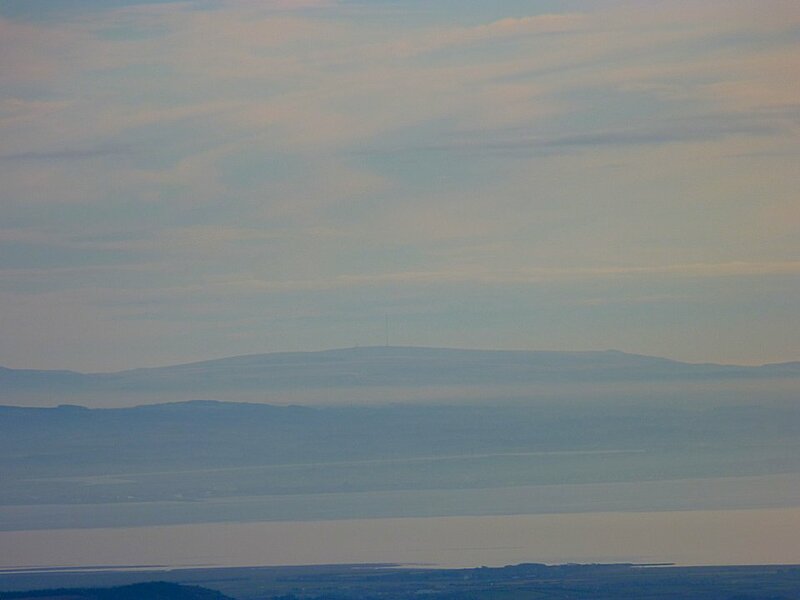 Nearly 60 miles as the crow flies The small bump on the right is Rivington Pike. 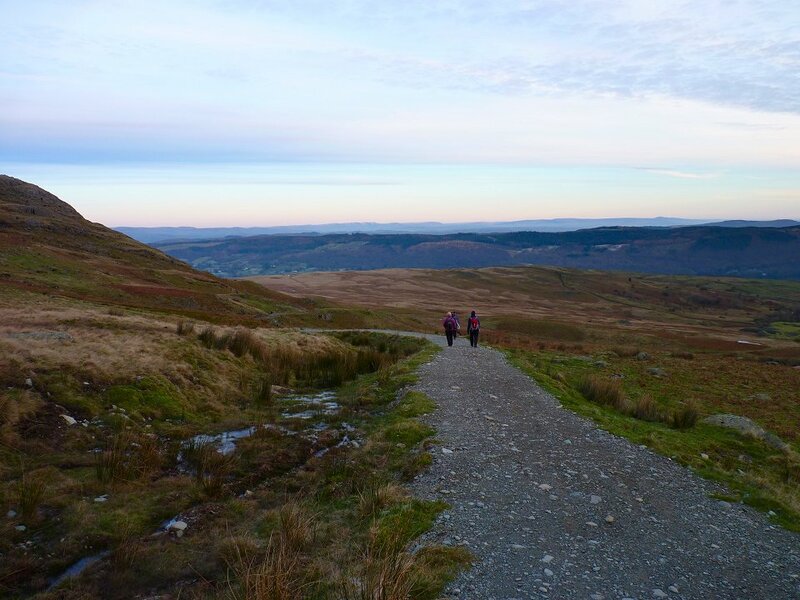 Making our way down after a lovely day.